«The sixth centenary of Alberti’s birth in 2004 saw a huge upsurge of interest in this humanist, and one of the most significant new themes to emerge from that revival is the author’s insistence on humour in his works. Before the centenary, one of the main champions of Alberti’s importance was the British scholar Cecil Grayson, who held the Serena Chair of Italian at Oxford from 1958 to 1987. In the 1960s and ’70s Grayson published a monumental three-volume edition of all of Alberti’s vernacular writings, still a standard reference-point for these works, and he also established the texts of several of the Latin compositions. This conference addresses both of these topics, namely Alberti’s humour and Grayson’s contribution to Alberti studies. 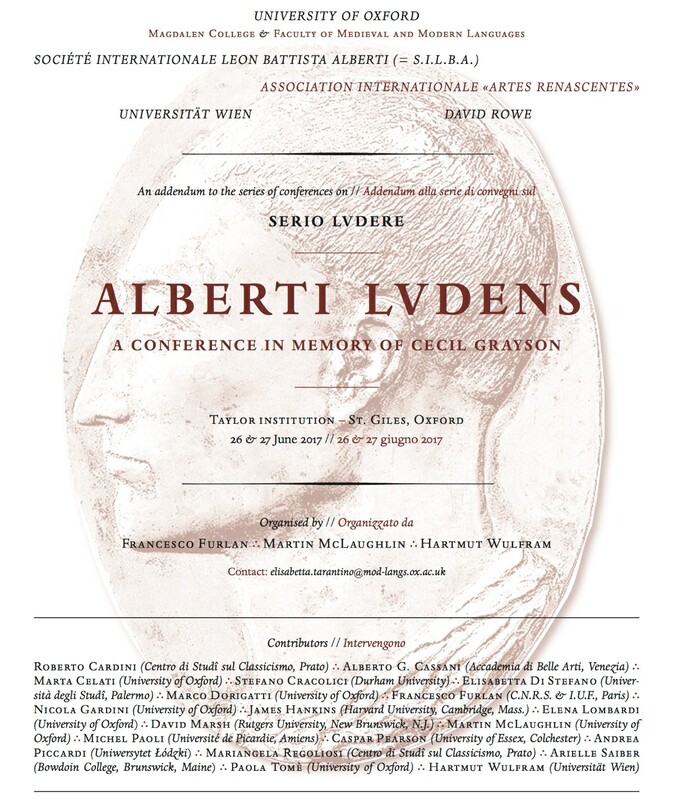 It gathers together major international experts on Alberti from France, Germany, Italy, Poland, the United Kingdom and the United States of America, and it takes place, fittingly, in Oxford, in the faculty where Grayson carried out his fundamental work on Alberti».